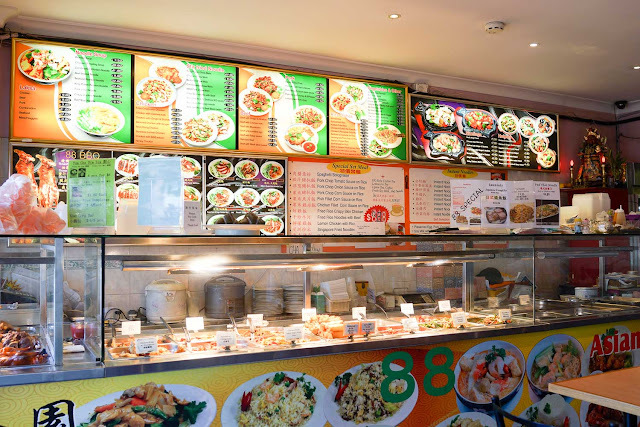 The Chinese double eight strikes us lucky in Kingsford at the Hong Kong style 88 Asian Food. There are some places in this city that you never quite get until you get it. 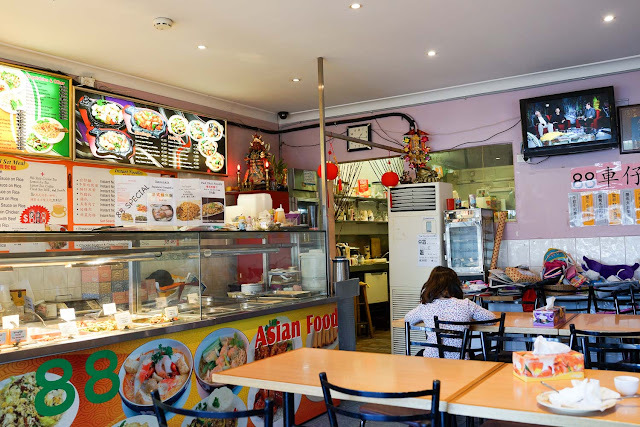 In Kingsford, there's no shortage of Chinese food places, in fact there seems to be more and more replacing the Indo joints along Anzac Parade. We walked along the strip but nothing quite caught our eye until a chance look at the BBQ duck and roast pork in the window at 88 Asian Food settled the deal. You have probably walked past a joint like this a dozen times and thought it wouldn't be any good. But friends, as we almost did the same yet again, the internal monologue started up telling us that we really needed to try out this place and so we entered. The display board is a mix of choices: BBQ duck or pork on rice, noodle soups, special Hong Kong cafe style set menus featuring spaghetti, pork chops and a cup of HK lemon tea or a couple of selections from the bain-marie-of-love. Soya chicken noodle soup - $10. A classic noodle soup with big hunks of sweetly soft chook and plenty of noodles in a plain broth, a shake of white pepper gave it a bit more zing. The whole top was generously coated in a forest of chopped coriander and green onions with submariner pieces of bok choy underneath. Good for what ails ya. 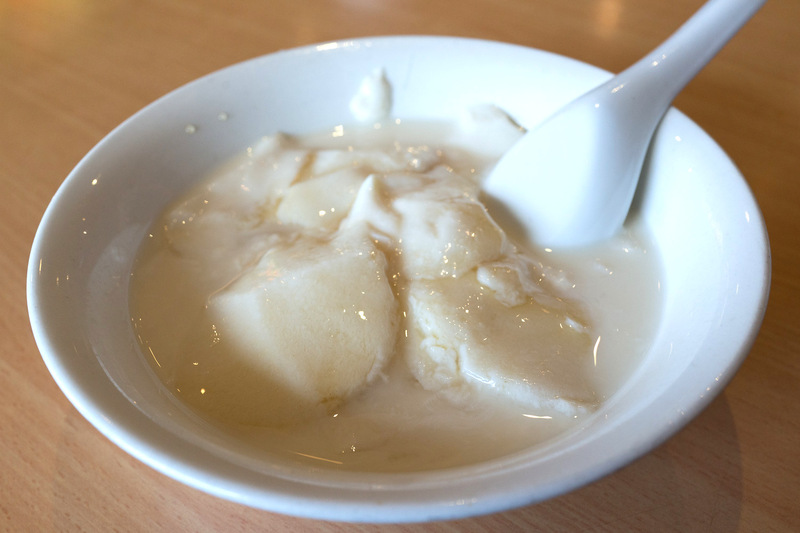 Beancurd and ginger dessert - $3. Cold silken tofu with a little (we guess) sugar syrup and ginger. The sugary goodness resides at the bottom of the bowl so you can control the sweetness of each bite. This was a surprise hit, comfort in a bowl. Shredded duck noodle - $10. Slivers of roast duck meat and skin stir fried with noodle. 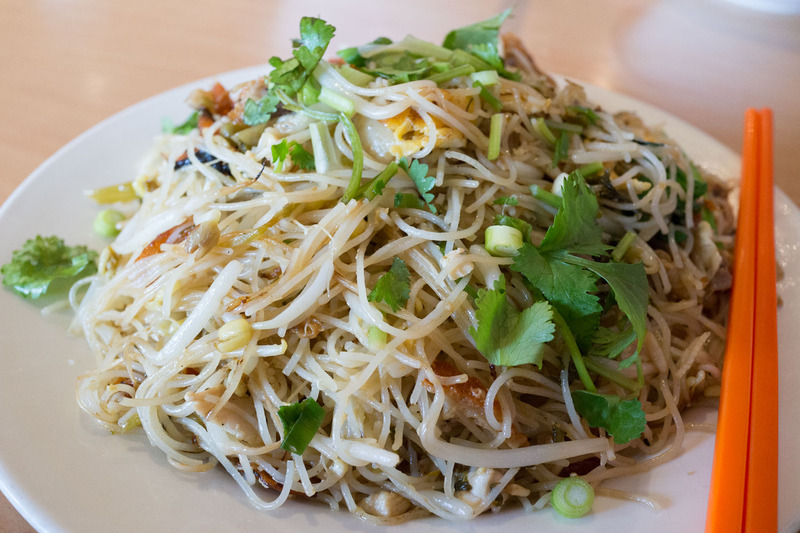 It's a plain style of stir fry, reminding us of the Aussie\Chinese classic, Singapore noodles. It's a huge serve, we took home half for dinner, along with some pork and veggies from the bain-marie-of-love. Happy days. As we ate, a steady stream of students, battlers, uncles and aunties stopped by and got take-away or ate in. The one common factor was the generous portions doled out for a small $7.80 for two selections, no one was walking out of this place hungry. We wonder if the super nice folks that run this place consider it a community service as much as a business. It's also one of the only spots along the strip you can get some takeaway roast meats, as well as soy chooks, shiny brown braised beef tendons and sweet char sui. 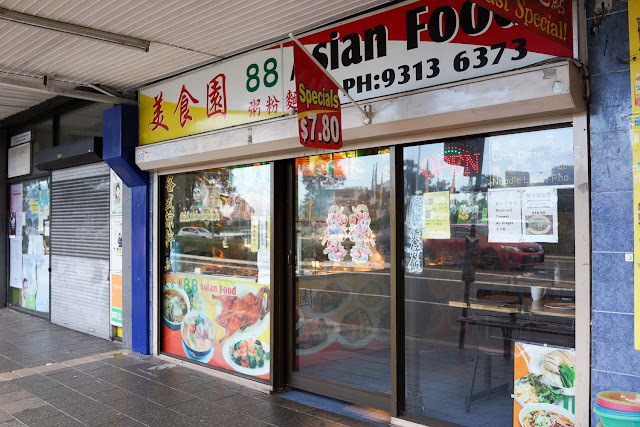 88 Asian Food is at 369 Anzac Parade, Kingsford. Phone 9313 6373. Deliciously old skool - esp that tofu fah!